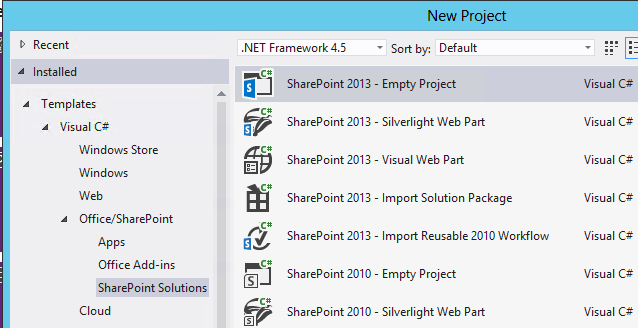 In this Part 2 of 3 Update I am targeting a second post cited above [Creating a SharePoint 2010 External Content Type with CRUD Methods using LINQ and a SQL LOB System]; again, I am specifically leaving out the precursor activities that are needed before you begin to create the External Content Type (ECT), I will just pick up at the point of Creating the ECT and as for cases where I introduce new methodologies, I will ofcourse showcase those aspects. 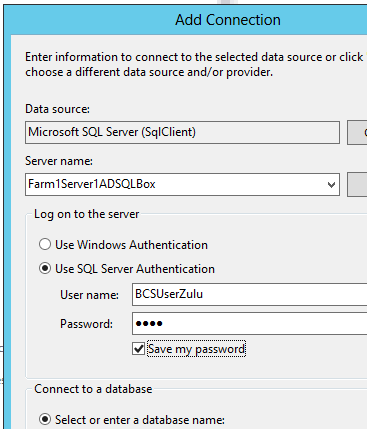 This is going to be a Farm based solution that will connect using “Linq to SQL” to our SQL Sever Database and create a DataContext class that we will use to communicate from our BCS entity to the underlying Database. Next we begin our work on the BCS piece. This does it for Data Access. So, now you will need to add a new item to your project. you will add a BDCM as seen below Business Data Connectivity Model. Now, if you have read my part 1 you will know that I vehemently hate when Visual Studio gives me helper/sample implementations, well, this happens here after you name and add your item to your project. as you can see below, you get a Entity1.cs and an Entity1Servcie.cs which ties to the GUI entity you see in the designer. 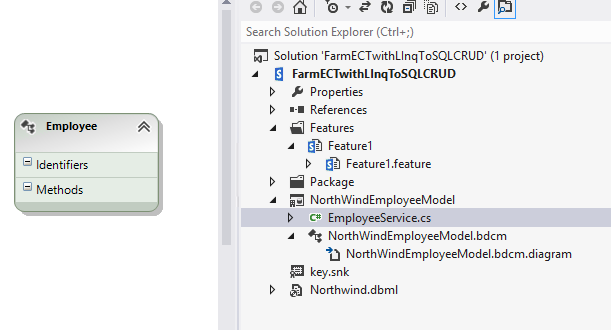 We will get rid of these as we did previously in out WCF part 1 blog post and create our own entity based on the NorthWindEntity we got with the Linq To SQL DataContext we created earlier. so for now just select the two files and delete them, alternatively, you can delete the item out of the designer and “I think” it deletes the file along with it, perhaps it leaves the service file, but long and short, kill em all. The next piece is Arguably the place MOST people will Run-A-Muck because they will either FORGET to change the TypeName of the Specific Finder to reflect the Employee Class created by the Data Context and leave it as the ‘Generic” that it is originally set to, or they will fail to set the Identifier property in this method. The reason folks mess this up is because THIS IS THE ONLY METHOD THAT REQUIRES THIS, every method thereafter inherits from this. The next things folks mess up on is the Update Method but I will go into that in detail in a few. This means that the Updater Method will take in two Parameters now, not one as most MSDN and TechNet articles will say, but I am only using my EmployeeID Input Parameter to locate the Specific Item needing to update and the employee parameter to set the Fields of what will be committed back to the Data Source. 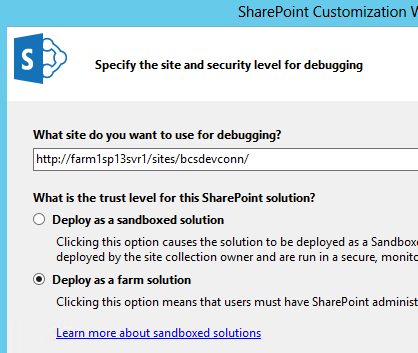 All attempts to do it otherwise GAVE AN ERROR about the EmployeeID being a Read Only Field and needed the PreUpdate Field set to True when using an External List to Update an Item. All in all the full code should look like below when you put it all together. 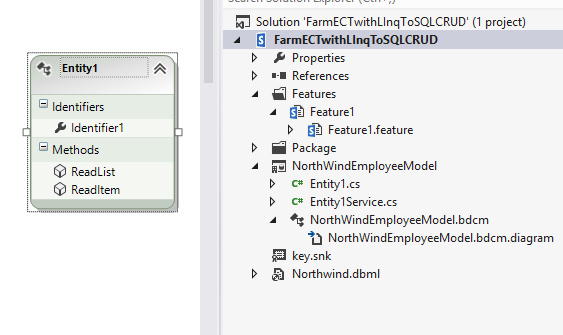 Now we create our External List and we should have FULL CRUD Capabilities. Here you can see the Methods exposed though their actions. To see and learn more come see my VS Live 360 Session that i spoke about on my blog here. I tried to use your method to create a creator method. It throws me an error: can’t insert explicit value for identity column value : identity_insert is set to off. You will notice that in my Createor Method I DO NOT HAVE the Identity Column, i.e. Primary Key as a Field that I am sending back to the Data Store, that is because it is a Auto Increment Field in the Database, it takes car of itself. 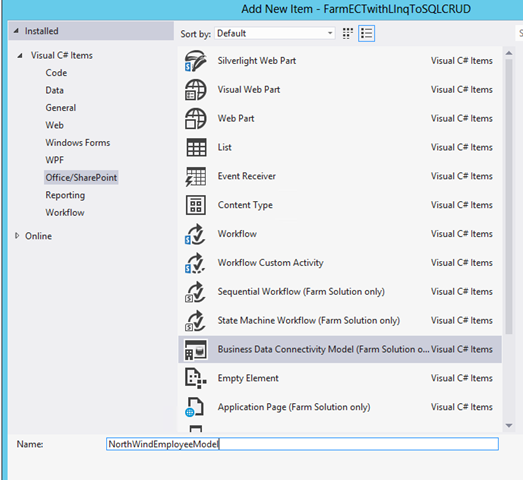 I don’t know your back end DB so, here are potential solutions (1) if you do have an auto increment as I do, ensure that you don’t have it listed as a field in your Creator Method (2) add a column to your data store that is the same as the Primary Key Field and use that as the Identity field in the BCS Entity there are other solutions as well. check SQL Logs to see more details on your error and you will see ‘exactly’ what went wrong. hope this helps. 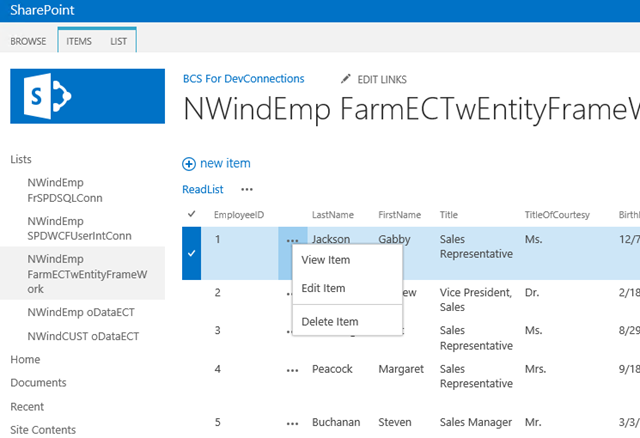 Failed to update a list item for this external list based on the Entity(External Content Type) ‘Notification’ in EntityNamespace ‘Namespace’. 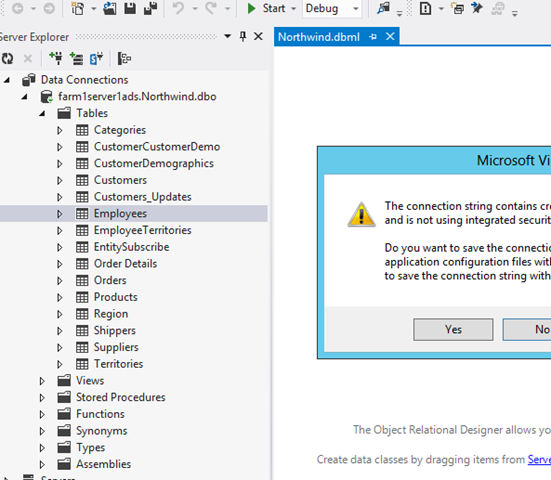 Details: The TypeDescriptor with name ‘Id’ in the Method ‘Microsoft.SharePoint.BusinessData.MetadataModel.Static.Method’ on Entity (External Content Type) with Name ‘Namespace’ in Namespace ‘Notification’ is marked ‘PreUpdaterField’, but is contained by another TypeDescriptor marked ‘PreUpdaterField’. When creating your Update Method for our ECT, there is a Updater property that you have to set, did you set that? 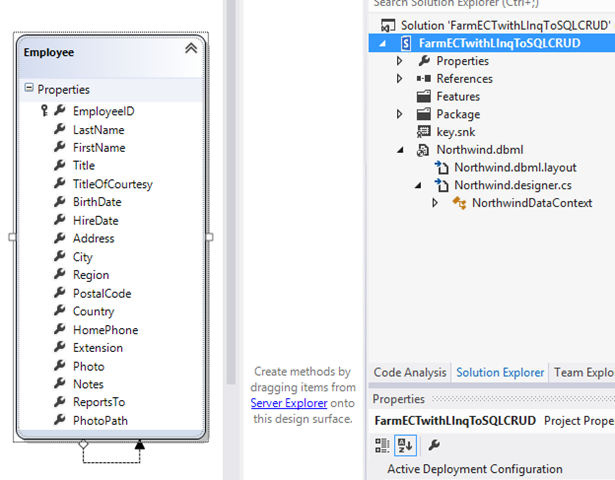 Nice Article.. Could you please tell me how to associate two external content type using Visual Studio? I’ve two entities, when I create new item(child entity) in SharePoint External List, it gives me error “The INSERT statement conflicted with the FOREIGN KEY constraint ‘FK_XXX_YYY’. The conflict occurred in database ‘DDD’, table ‘dbo.YYY’, column ‘ID’ “. Note: ID is Guid which is auto generated.